Sri Lanka Navy has started offering ‘whale watching’ ferry service to tourists from January 30, 2011 to promote marine tourism. 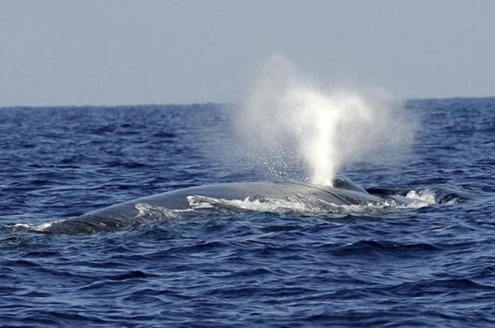 from December to April months, Blue and Sperm whales are often sighted closer to the shores of the seas south of Dondra Head and Mirissa of Sri Lanka. 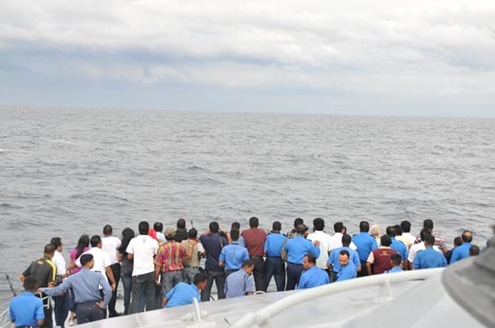 one of Sri Lanka Navy’s luxury Fast Passenger Vessels (FPV) called A-543 is being used as ferry service (the vessel was earlier extensively used for troop’s transportation during the humanitarian operations). ferry service is available between Galle – Mirrissa sea area; in future to be operated between Colombo-Kalpitya and Trincomalee sea areas with the change of weather and monsoon. ferry service is available four times per week, with each tour lasting for three to six hours. 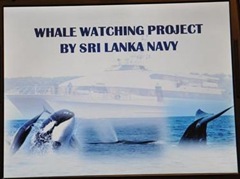 Here are some photographs released by Ministry of Defence, Sri Lanka and Sri Lanka Navy. 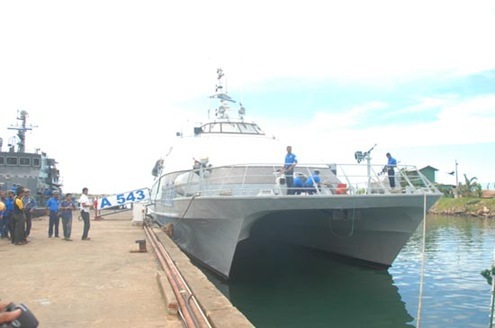 Sri Lanka Navy’s Passenger Vessel A-543 assigned as ferry service. For more details about the ferry service, log on to Jetliner Nautical Enterprise.